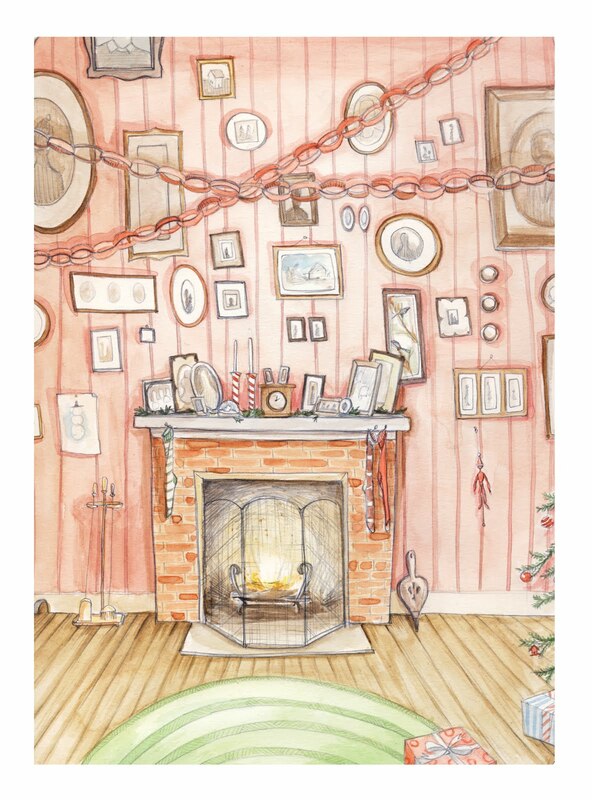 My newest painting with a Christmas theme. This is a watercolor on hot press watercolor paper. It doesn't have the rough texture of cold press, which I am getting used to and beginning to like. The purpose of this is for printing Christmas cards, which I will be selling at the Christmas fair at the Bluecoat in Liverpool, along with books and bags. 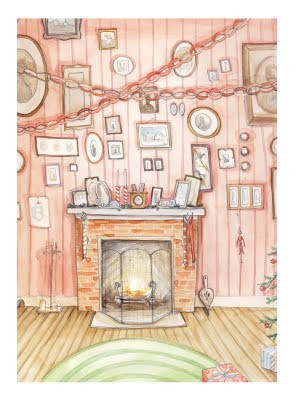 The Liverpool Illustrators have a table both Saturdays, Dec 5th and Dec 12th, so come by if you can! 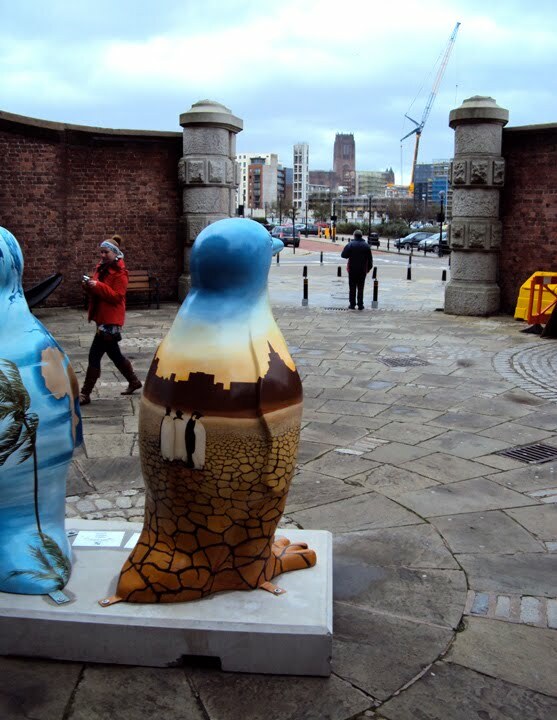 The penguins are out on the trail in Liverpool City Centre. It's really neat to see them here and there. I saw two in Lime Street Station just a minute after getting off the train from Manchester! I found my Dry New World penguin on Albert Dock and took a few photos. (Amazingly, it wasn't raining.) 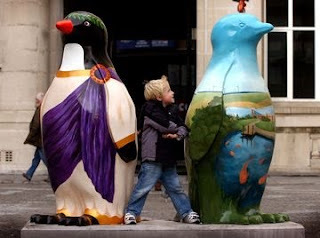 The Innovation Park penguin is next to town hall, and I found this photo of it online. (I don't know that kid) Next time I'm in Liverpool I will head over to find it in person. Yes! I now have a store on etsy where people can purchase my wares. 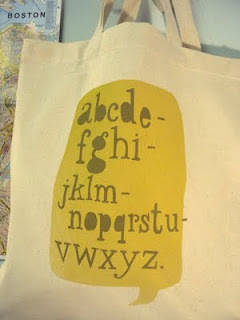 Like this new hand screen printed bag! Here are a few shots of the address books I've made. 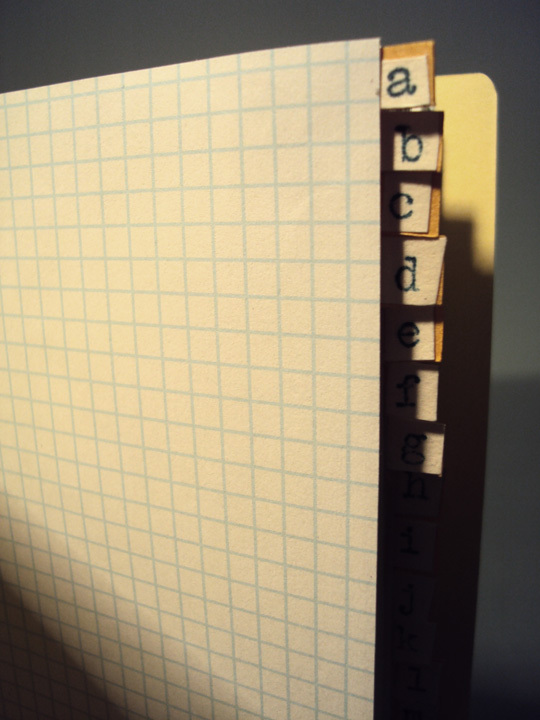 The tabs are typewriter written! 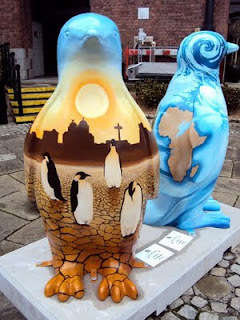 I painted two penguins for Liverpool's Go Penguin public art project. There over a hundred beautifully painted five foot tall penguins which will be in city centre this winter. 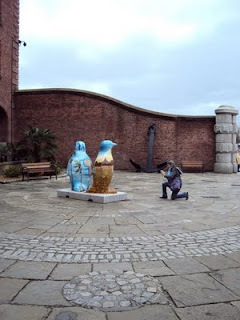 My first penguin was sponsored by Liverpool Innovation Park, which is which was also the HQ for the project and the studio were most of them were painted. The photo on the left is of my first penguin still in progress, and the photo on the right is the back of it when completed. My second penguin was sponsored by the Environment Agency. This is my interpretation of their concept and basic design: Liverpool under a burning sun and a dry cracked landscape. Don't ask me why they wanted penguins aimlessly walking around, but it does look pretty cool. This was almost the opposite landscape to my first penguin, very warm colors (no green at all! ), but they seem to match anyway. 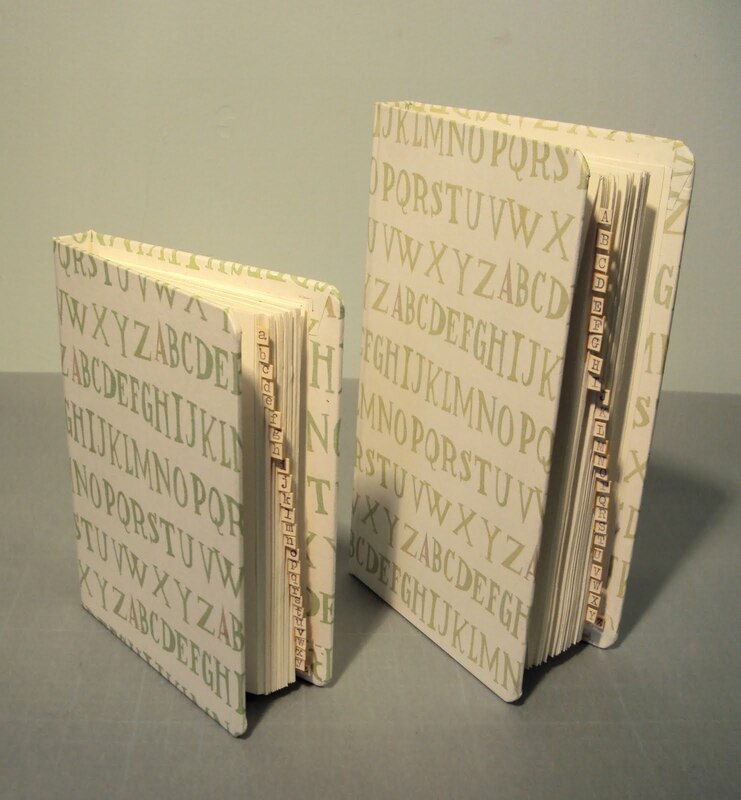 Manchester Artists' Book Fair! This Saturday! 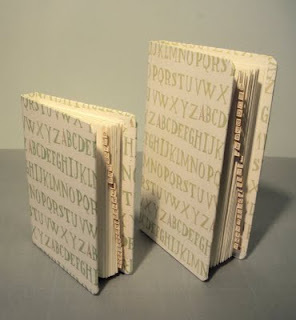 I'm busy getting ready, making lots of little journals and assembling editions of The Birthday. 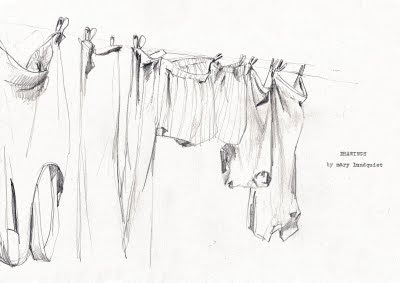 I'm also making paperback books of my drawings, which I'm very pleased with. It'll be an exciting day and I'll certainly post photos early next week. Come by if you are in the area!